The U.S. Federal Aviation Authority has granted special permission for the use of drones to help relief efforts in Houston, Texas, in the aftermath of Hurricane Harvey. At the IFA trade show in Berlin, PowerVision is demonstrating a drone that would need no authorization from the FAA to play its part. That's because the PowerRay is an underwater drone. It's almost half a meter long, equipped with a 4K video camera that can be monitored on a virtual-reality headset over Wi-Fi, and powerful spotlights for penetrating the gloom 30 meters down. The PowerRay underwater drone can operate down to depths of 30 meters for up to four hours on one battery charge. It's piloted using what looks like a wireless game controller, and can maneuver at speeds of up to 1.5 meters per second (3 knots). 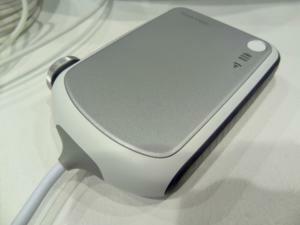 Its 6400 mAh battery will keep it going for up to 4 hours if you don't push it too fast. If the battery does go flat while the PowerRay is underwater, all is not lost: You can simply pull on its cable to bring it back up, as long as it's not snagged on something. 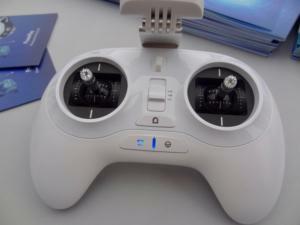 Yes, although the controller is wireless, radio waves don't pass through water all that well, so a cable is needed to carry signals between the drone and a Wi-Fi base station that stays on the surface. This relays instructions down a 70 meter cable, and retransmits the video signal the drone sends back up. PowerVision piped video from a PowerRay underwater drone in water-filled shipping container to a large screen nearby at the IFA 2017 trade show in Berlin. 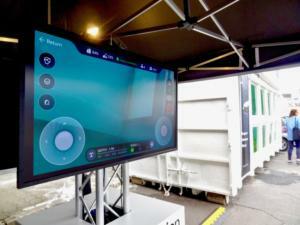 PowerVision couldn't fit a 30-meter deep tank on its stand at IFA, so it's demonstrating the PowerRay in a water-filled shipping container in the parking lot, and showing the video on giant monitor nearby. The drone is designed to operate in fresh, salt or chlorinated water, streaming video at 1080p and recording it in 4K UHD. It can also record 12-megapixel still images at up to 5 frames per second on its 64 GB of internal storage. 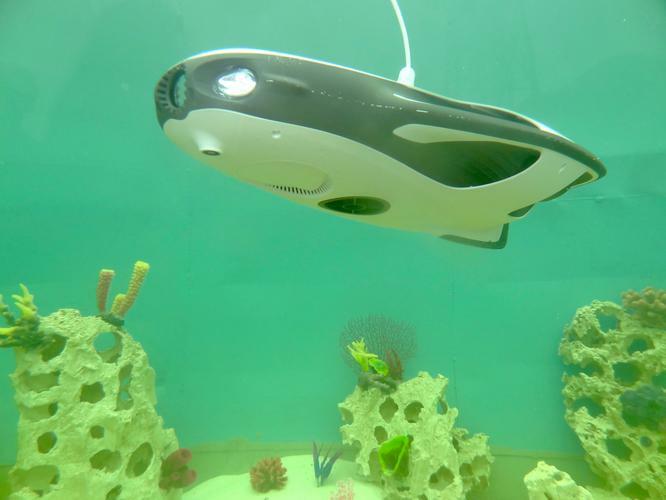 The PowerRay underwater drone is piloted with what looks like a wireless game controller. The PowerRay measures 465 x 270 x 126 millimeters, and weighs around 3.8 kilograms. PowerVision is selling a kit including the drone, base station, power supplies, wireless controller and two Zeiss VR One Plus headsets for around âŹ2200 (US$2600). The PowerRay underwater drone connects via a 70-meter cable to its wireless base station, which remains on the surface. While it might prove useful for emergency responders and utilities or insurance companies inspecting flooded infrastructure, PowerRay was originally designed for fishing. 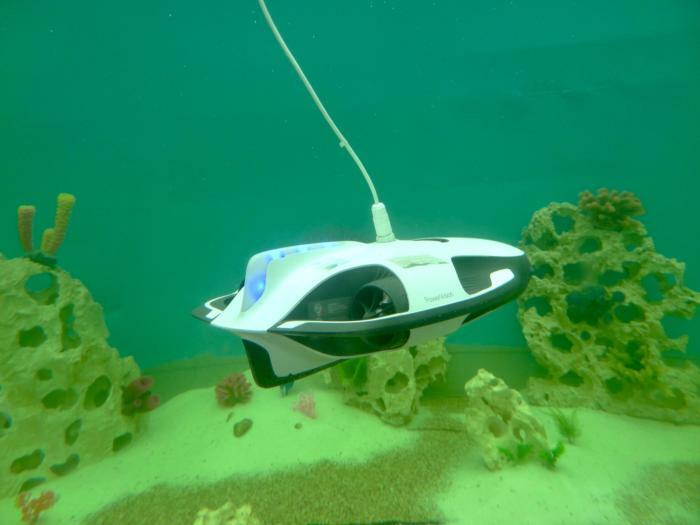 It comes with a sonar device that can locate schools of fish up to 40 meters beneath it (so as deep as 70 meters in total) and a device for dropping bait exactly where you want it.